Firefighter Challenge Coin | BUDK.com - Knives & Swords At The Lowest Prices! One side: depiction of St. Florian, "Patron Saint of Firefighters"
Carry your firefighter pride with you! 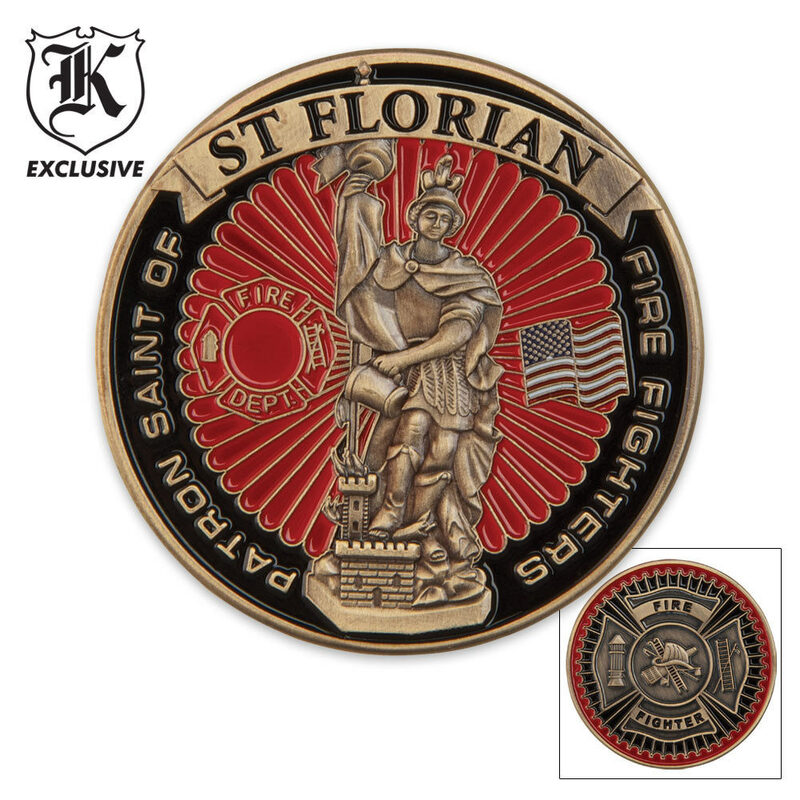 This handsome challenge coin is perfect for you or the firefighters in your life. This is a Beautiful Challenge Coin. Great addition to my son's collection.